Stallion Power washing is superior in commercial cleaning. 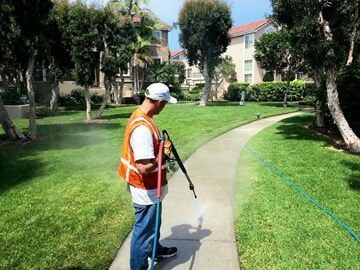 Typically our services include but are not limited to commercial façade cleaning, sign cleaning, par cades, sidewalks, walkways, steps, railings, gum removal, grease removal, retaining walls, masonry work, compactors, and installations of bird deterrents. Stallion uses leading edge cleaning methods and equipment such as high pressure washers and hot water burners ensuring the highest quality outcome. 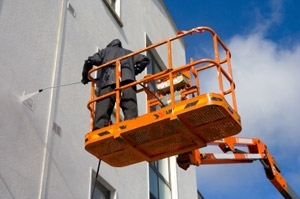 Whatever the job: storefronts, awnings, signs, or facades made of concrete, stucco, wood or artificial siding no job is too big or too small for stallion power washing. Our hot and cold cleaning methods combined with our top of the line equipment and professional grade products will aid in the restoration and maintenance of all building facades. Many buildings collect stains from dirt, mold, mildew, bird droppings and other pollutants. Power washing aids in blasting away of grime and increases the value of your property by adding ultimate curb appeal. Façade cleaning assists in maintaining a buildings condition particularly in masonry surfaces. Dirt and grime can make evaluating your buildings possible need for repairs. By maintaining a clean exterior, maintenance and repair issues are easier to identify before developing into more severe and costly expenses. Let stallion and their 100% biodegradable ad environmentally friendly cleaners help you successfully maintain your investment. Over time parking areas lose their aesthetic appearances as a result of soiling from oil, grease and other motor vehicle contaminants. Not only is this unsightly but it is a hazard for employees, customers and visitors that could lead to liability issues in the future. At stallion we use high pressure, commercial grade hot water surface spinners ensuring an even and professional clean. 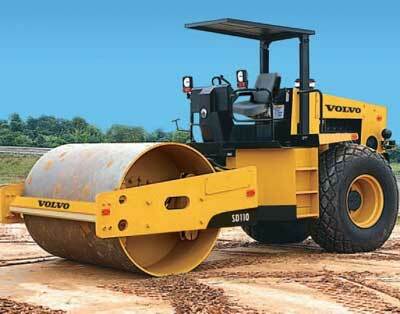 This aids in preventing accidents and providing an attractive look to your commercial property. Pressure washing combined with a 100 % biodegradable degreaser are superior in removing grease and oil stains, disinfecting and dissolving resins and flushing out chemicals and poisons. Let stallion power washing effectively restore the look of your sidewalks, walkways, steps and railings. Our hot water, high pressure equipment specializes in removing chewing gum, dirt, grease spots and other grime and build up from your commercial property. We use 100% biodegradable and environmentally friendly products, paired with enhanced cleaning power. Let stallion make your surfaces safe and clean. Also ask about our sealing techniques for these surfaces. Retaining walls can enhance the aesthetic look of landscaping. The main purpose of a retaining wall is to control erosion and eliminate slopes. While concrete cinder blocks are ideal for these walls, exposure to soil, dust, dirt and water drainage will eventually led to a dingy look. 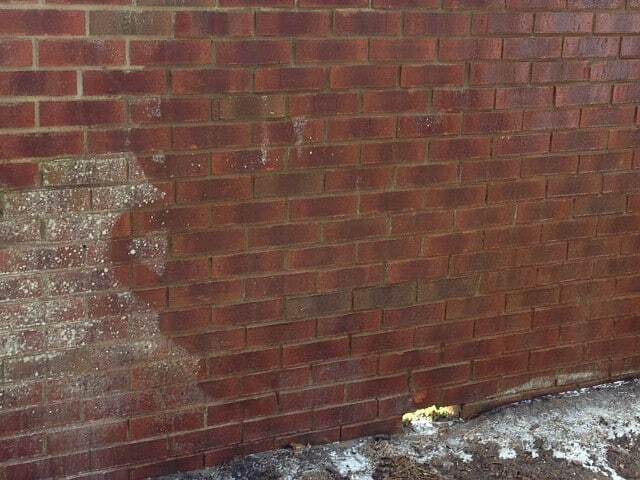 Pressure washing a retaining wall can eliminate this dingy look and protect it from future erosion. At stallion power washing we have extensive experience with masonry work. 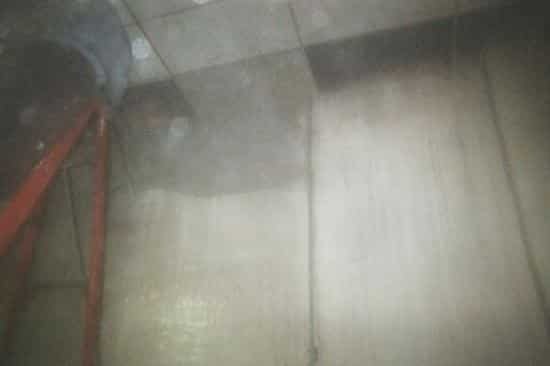 Our skilled technicians deal with 200 degree hot water burners that allow us to reduce the pressure and allow the hot water to do the cleaning on more delicate masonry. Let us give your brick, stone, concrete, stucco or tile a total facelift. At Stallion we know that your compactors, grease bins and loading bays can take quite the hit with grease, oil other types of grime, rodents and pests. This can prove to be not only an eyesore but also is very hazardous for employees, visitors and customers. At stallion we use powerful 100% biodegradable and environ-mentally safe cleaners combined with 200 degree hot water burners and commercial grade surface spinners that break up grime, grease and other targeted hazardous materials. Regular cleanings reduce the risk of rodents and other pests targeting your site as a feeding ground. Power washing ensures an even clean for your business in turn reassures the safety of everyone entering the site. As a business owner you don’t want to continually be spending time and resources cleaning up droppings and removing nests off your property that cause unsightly problems and health safety risks. Let stallion eliminate this problem by first beginning with a high pressure clean of contaminated areas followed by the installation of bird deterrents on roof top edges, ledges, window sills, chimneys, commercial lighting and other surfaces where pests, bird roosting and nesting are a problem. 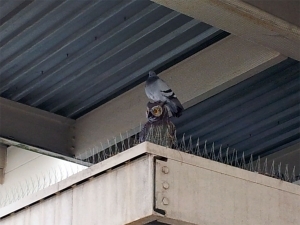 Bird spikes are a guaranteed way to deter birds from landing on your property eliminating damage and liability. All stallions employees are aerial lift certified so getting into those high tricky spaces wont we a problem.